So , I am a huge fan of ABDC , especially the recent season . 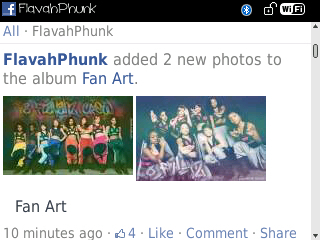 Yesterday , I submitted my two edits of ABDC 7 runners up 8 Flavahz (@FLAVAHZcrew) to a fan (@FlavahPhunk) for the fb fan page . I didn’t think I’d get them on there since 8 flavahz has a lot of fans , but I saw the edits yesterday from my phone and was very excited . I still am actually . Lol the actual edits are also displayed to see the details better .